I keep a jar of fresh homemade pesto in the fridge because it is so good on so many things (think grilled corn on the cob!). If you have it on hand, it will make this recipe go even quicker. 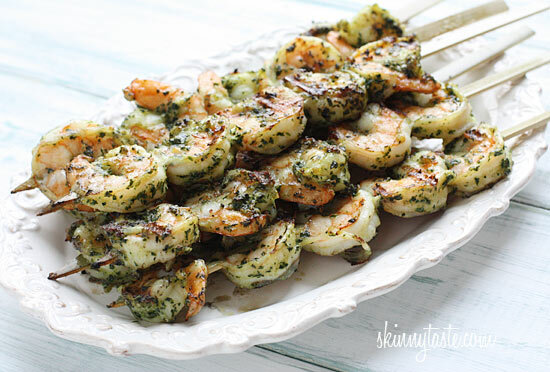 Combine raw shrimp with pesto and marinate a few hours in a bowl. Soak wooden skewers in water at least 20 minutes (or use metal ones to avoid this step). Thread shrimp onto 7 skewers.